Our key technologies include: Steam Treated Spice and Heat Treated. Utilizing a machine called an autoclave, all bacteria, viruses and fungal spores are effectively destroyed by a combination of air pressure and superheated water. This strategy is so effective, that it is used by hospitals to turn highly pathogenic waste material, into a harmless by-product that can be disposed of safely in landfill. Steam sterilization does this while actually avoiding the higher temperatures needed by dry methods, to protect more sensitive ingredients. In fact, ingredients that are steam sterilized for a mere 3 minutes, at 275 °F can achieve the same degree of sterility as hot, dry air methods used for two hours at 320 °F. 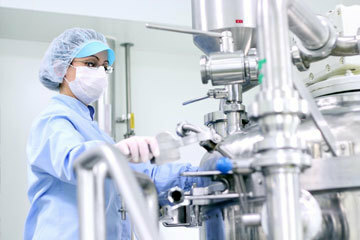 For suitable ingredients, steam treatment represents the cutting edge in organic compatible sterilization techniques, while not requiring the use of any hazardous materials unpopular with consumers (like synthetic chemicals or radiation). Unfortunately, there are some ingredients (such as powders) where the use of steam treatment is not practical. Normally this would mean the use of a much longer, hotter method of dry heat. Organic Spices Inc., takes advantage of a more advanced rapid dry method that uses a raised temperature, combined with forced ventilation to be able to get all of the benefits of dry heat, with a faster turn around time. All methods used are done with state of the art equipment, under supervision of trusted, expert technicians. We pride ourselves on our outstanding food safety record, giving our clients and their customers alike, wholesome, natural ingredients and nothing else. Why do we use 100% biodegradable packaging? And encourage sustainable farming? And get certified as a green business? Ask your great grandchildren. The real question is, why doesn't everyone? Through our membership of the American Spice Trade Association, we're helping to lead the way in advancing food safety and education throughout the global food supply chain. As a proud member of the Organic Trade Association, we're helping to increase awareness, move businesses towards sustainability and to lead by example ourselves. We have a worldwide expertise in working with growers insuring a reliable supply of the highest quality organic culinary herbs and spices. We at Organic Spices Inc strive to offer a comprehensive solution with major focus in organic spices throughout our supply chain by driving out unnecessary costs and focusing attention on adding value. 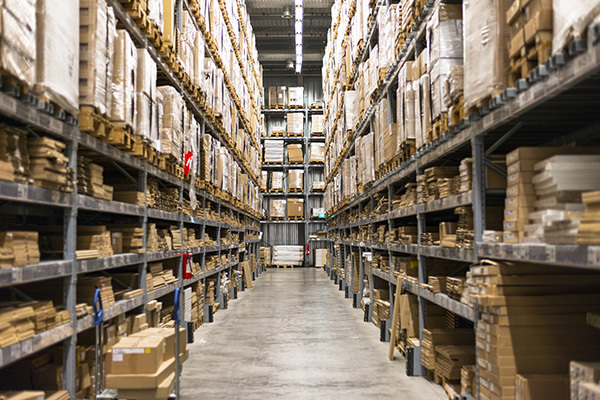 We also believe a successful supply chain system must be responsive to customer requirements. Organic Spices Inc is a direct importer and the leading industrial ingredient supplier of steam treated organic spices to organic food manufacturers. Our supply chain also includes the crucial components of coordination and collaboration with worldwide growers & coops that follow strict sustainable agriculture practices. It wouldn't be possible to have such great service and quality products without a phenomenal team! We specialize in organic and natural ingredients, made in a nut, soy and gluten free facility with full FDA, organic, gluten free and kosher certification. We can also supply a growing range of fair trade certified products as well. Whether you're looking for organic herbs, spices or seasoning, we're here to make your life as a manufacturer or distributor, easy. All of our products are made from only the freshest ingredients, steam treated for the highest level of food safety, and prepared for you to order, on time, every time. Our customers include many of today's leading brands, food industry manufacturers and retailers. Naturally, whatever industry you're in, we are more than happy to tailor a solution to meet your needs. Feel free to contact us through this website so we can discuss how we can best serve you and your business. Every inquiry is treated with the utmost confidentiality. Contact us, we'd love to hear from you.